The Southern Vermont Board of Realtors held a food drive at their March 22 Membership Meeting. Members donated non-perishable food items for the Deerfield Valley Food Pantry as part of the Association’s charitable giving program. 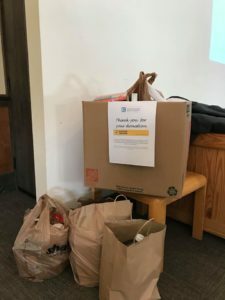 Thanks for all the donations!